Mönchengladbach - Borussia Mönchengladbach will have to overcome the history books as well as Bayer 04 Leverkusen if they’re to end a two-match at Borussia Park on Friday night (kick-off 20:30 CET). It’s almost 25 years since the Foals last beat their Rhine rivals on home soil in the Bundesliga and head coach Lucien Favre knows all too well that ending the hex will be anything but easy. 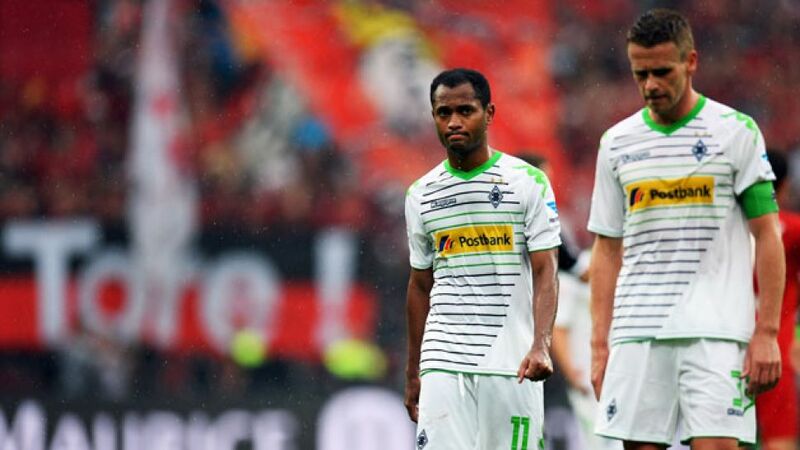 “It's time we beat Leverkusen," Gladbach’s head coach told journalists on Wednesday. “They’re a strong side and break really well when they win possession. They are particularly dangerous down the flanks through Heung Min Son and Sidney Sam. The full-backs also play very high up the pitch and look to get in behind the back four." Leverkusen’s roaming cut-throats proved their mettle last time out, coming from a goal down at home to VfB Stuttgart to record their first win since Matchday 15. Gladbach, however, had no such luck away at Hannover 96 and now face the additional challenge of having to dust themselves down from back-to-back Bundesliga defeats for the first time since May 2013. "We have to stay calm,” Favre explained when pressed on his side’s purported slump. “We've lost twice and certainly haven't played as well as we can, but we have to be realistic and rein in our expectations. Teams have had time to analyse our game, so now it’s up to us to find the solutions. We've got the quality. We collected 33 points during the first half of the season, after all."